Good things come to those who wait…but not when it comes to Valentine’s Day. Tables are already going quickly for this highly anticipated weekend, and you won’t want to miss the romantic sharing menu Fleming’s Prime Steakhouse & Wine Bar has created for you two, available February 11-14. Reserve your spot now at two Chicago area locations: 25 E. Ohio St., Chicago, IL, 312-329-9463, or 960 Milwaukee Ave., Lincolnshire, IL, 847-793-0333. To sweeten the deal, you will also receive a Valentine’s Day Card worth $25 toward a future rendezvous at your favorite Fleming’s. 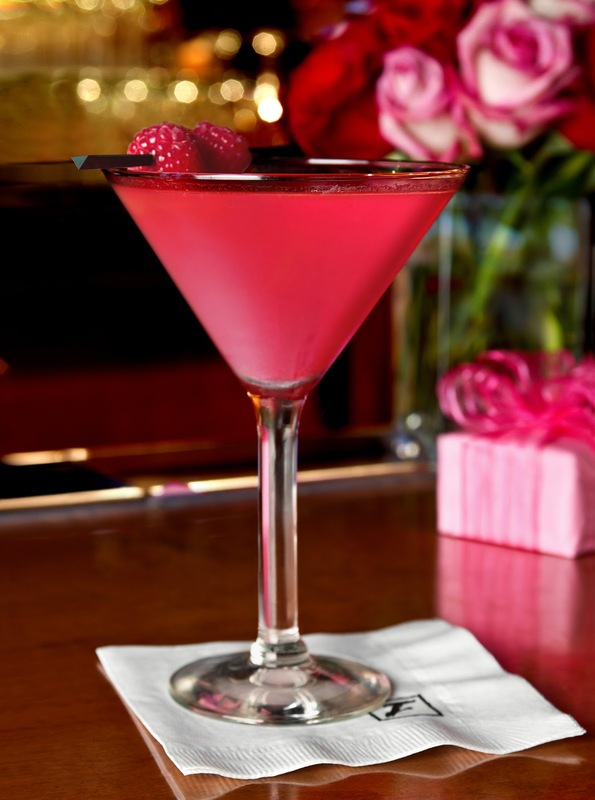 Begin the evening with Fleming’s special 99-calorie cocktail, Tickled Pink. The new, bright-colored libation is made with Belvedere vodka, orange juice, raspberry and Mionetto Prosseco for $9.95. The Tickled Pink cocktail is available throughout February and March, and is a part of Fleming’s “5 for $6 ‘til 7” menu. After toasting your Valentine, choose from two entrée selections made for sharing: Filet Mignon & Crab-Stuffed Shrimp, filet mignon with Madeira sauce, giant black tiger shrimp stuffed with crab and toped with bacon and lemon garlic butter sauce, served with butter poached Portobello mushrooms and Parmesan cheese mashed potatoes (for two, $98.95); or New York Strip & Shrimp Scampi, Prime New York steak, with peppercorn sauce, shrimp scampi with chimichurri herb pesto, served with lemon-scented orzo pasta and French green beans with porcini essence, plus a choice of Fleming’s, Caesar or Wedge Salads (for two, $89.95). Save room for a decadent dessert with your sweetheart: Red Velvet Cake & Chocolate Dipped Strawberries, three-layer red velvet cake with strawberry cream cheese frosting, garnished with two double-dipped chocolate strawberries (for two, $9.95). The nationally acclaimed Fleming’s Prime Steakhouse & Wine Bar offers the best steakhouse dining – prime meats and chops, fresh fish and poultry, generous salads and side orders – with a unique wine list known as the “Fleming’s 100” that features 100 wines served by the glass. Fleming’s is the recipient of numerous prestigious awards, including Wine Enthusiast’s annual Awards of Distinction and Wine Spectator’s annual Awards of Excellence. Visit http://www.flemingssteakhouse.com/ to learn more.